The “Black Tom Island” incident occurred on Sunday, 30 July 1916. 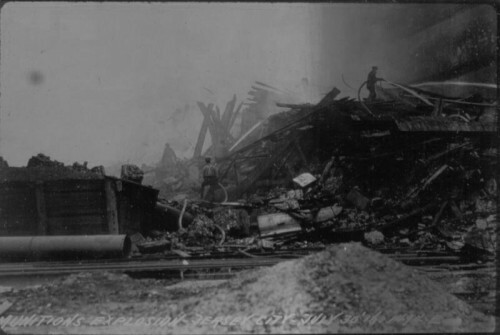 German saboteurs ignited a fire at the munitions-loading facility in Jersey City, across from Manhattan. The ensuing explosions destroyed the waterfront facility and largely obliterated the island, killing four persons and causing over $40 million in property damage. It was the first state-sponsored terrorist attack in US history and was the genesis of the US Coast Guard’s port security program. Watchmen in the Woolworth building in Lower Manhattan saw the blast, and “thinking their time had come, got down on their knees and prayed,” one newspaper reported. The Statue of Liberty took more than $100,000 worth of damage; Lady Liberty’s torch, which was then open to visitors who could climb an interior ladder for a spectacular view, has been closed ever since. Onlookers in Manhattan watched as munition shells rocketed across the water and exploded a mile from the fires on Black Tom Island. Flying bullets and shrapnel rendered firefighters powerless. Doctors and nurses arrived on the scene and tended to dozens of injured. The loss of life, however, was not great: Counts vary, but fewer than ten people perished in the explosions. However, the damage was estimated at more than $20 million, (nearly half a billion dollars today), and investigations eventually determined that the Black Tom explosions resulted from an enemy attack—what some historians regard as the first major terrorist attack on the United States by a foreign power. In the days after the blasts, confusion reigned. Police arrested three railroad-company officials on charges of manslaughter, on the assumption that the fires began in two freight cars. Then guards at the pier were taken in for questioning; on the night of the explosions, they had lit smudge pots to keep mosquitoes away, and their carelessness with the pots was believed to have started the fires. But federal authorities could not trace the fire to the pots, and reports ultimately concluded that the blasts must have been accidental—even though several suspicious factory explosions in the United States, mostly around New York, pointed toward German spies and saboteurs. 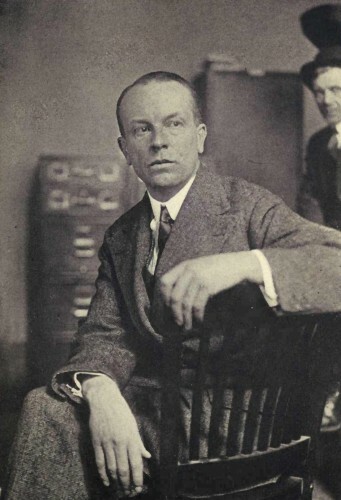 As Chad Millman points out in his book, The Detonators, there was a certain naivete at the time—President Woodrow Wilson could not bring himself to believe that Germans might be responsible for such destruction. Educated, industrious and neatly dressed, German-Americans’ perceived patriotism and commitment to life in America allowed them to integrate into society with less initial friction than other ethnic groups. But it took years for investigators to piece together the evidence against the Germans in the bombing. 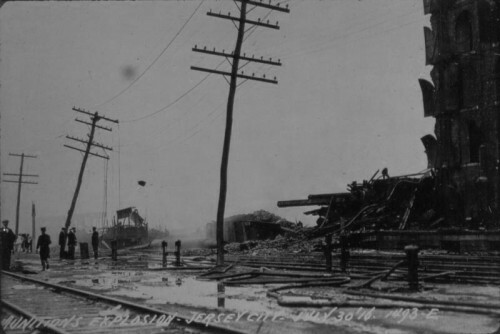 The Mixed Claims Commission, set up after World War I to handle damage claims by companies and governments affected by German sabotage, awarded $50 million to plaintiffs in the Black Tom explosion—the largest damage claim of any in the war. Decades would pass, however, before Germany settled it. In the meantime, landfill projects eventually incorporated Black Tom Island into Liberty State Park. Now nothing remains of the munitions depot save a plaque marking the explosion that rocked the nation.